1. Julie Clawson – Everyday Justice: The Global Impact of Our Daily Choices. This book, which I found in my church library, is a wonderful look at justice issues for a popular Christian audience. Clawson looks at how biblical ideas about justice can affect behavior in seven areas: Coffee, Chocolate, Cars, Food, Clothes, Waste and Debt. She gives many good recommendations, both in terms of what to do and where to get more information. One of the best things about this book is that it seeks to move wealthy Christians (and when I compare myself to the rest of the world population, I fit in that category) toward more just decisions, and at the same time it is not overwhelming or judgmental. 2. Earl Palmer – The Humor of Jesus: Sources of Laughter in the Bible. 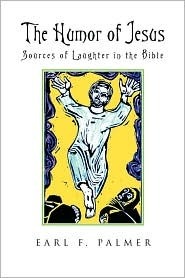 This book, by the former pastor of University Presbyterian Church in Seattle, is a brief look at humor in the Bible. It is not a bad introduction, and includes several examples of humor in the Bible, but there are other books out there that are more comprehensive. The main benefit of reading this book is just spending time with Palmer, who clearly enjoys his subject. On a separate note, while I was reading this book Mary and I got to attend a lecture given by Palmer on C.S. Lewis here in Bellingham. 3. 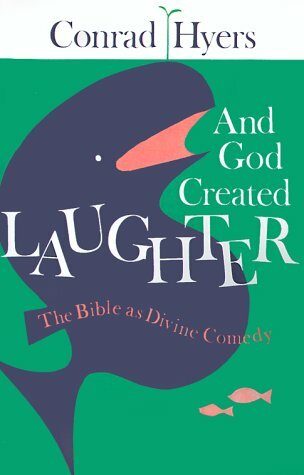 Conrad Hyers – And God Created Laughter: The Bible as Divine Comedy. This is the second book that I read to get some background for a Bible dictionary article I was preparing to write on “humor.” This one was better than Palmer’s, but to be honest neither were really satisfying. Both seemed to have as their main message: “The Bible really is funny, you know.” Since I was already convinced that there is humor in the Bible, I was looking for more detailed information on the various techniques of humor in the Bible and where they could be found. There was a little of this, but not as much as I was hoping for. 4. Francis Schaeffer – The Complete Works of Francis Schaeffer (5 vols). I began reading this back in July, and wrapped it up just before Christmas. It contains all 22 of Schaeffer’s books combined into five volumes. I’m not able to do it justice in a short review, so I’ll share a negative and a positive. What I didn’t like about this set was that Schaeffer repeated himself so much over the course of his oeuvre. I am also more sympathetic with the earlier Schaeffer (in which his primary goal was to relate the gospel to the young people who came to visit him at L’Abri) than the later Schaeffer (in which he turned his attention more toward emphasizing an antagonistic view of the world and defining the boundaries of evangelicalism). I’ve already alluded to the positive. 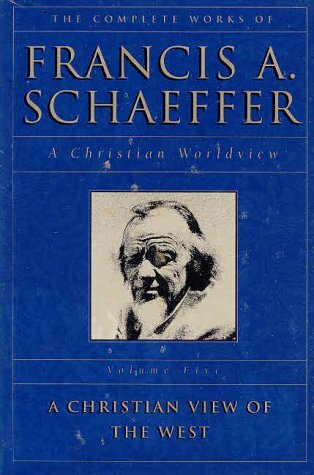 Schaeffer was passionate about relating the gospel to the world of the late-20th century, and he is at his best when his books are rooted most directly in the deep concern and love he had for the world as it came to him in the person of the young people he met at L’Abri. 5. Scot McKnight – Fasting (The Ancient Practices). Reviewed earlier here.